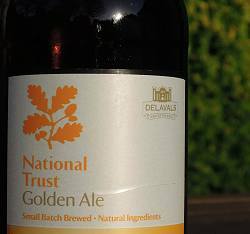 I poured my first ever National Trust beer, lucky old me got a membership of the National Trust Beer Club for my 60th birthday, and took a few swigs. It was good, but somehow not what I’d expected. It got me thinking. Roll the clock back 20 years or so … I suppose I was one of those insufferable yuppies back then, junior league at least, and my friends and I had a serious attack of wine pretentiousness. I had a fondness for classic French wines, clarets and burgundies, I’d joined the Wine Society and had started buying cases in bond, although I was aware that prices were fast getting out of my reach. Everyone was raving about the then fashionable "new world" wines from South Africa, New Zealand and Australia, so of course I tried them and was initially seduced by their boldness of flavour. I pretty soon tired of them though, as they all tasted to me like a synthesised version of "the real thing" as if some clever chemist had deconstructed the flavours of the old world and had cunningly boosted each one up to 11 … wine by Spinal Tap! They simply had too much flavour, and more is not always better. Now however the wine the supermarkets sell is such a vast improvement on what it used to be, that it rather negates the need for all this expensive wine snobbery, and my plonk of choice is now basic French stuff from ASDA. I’ve come full circle. OK, so what has all this wine musing got to do with beer? Well, with those first few mouthfuls of Delavals Golden Ale, I got the distinct feeling that my beer life had just done a full circle too. Allow me to explain. 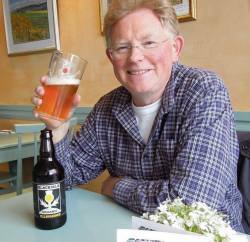 Let’s go back a dozen years or so, to when the beer landscape of Britain was fairly barren, but the first signs of resurgence were emerging with the first micro breweries popping up. 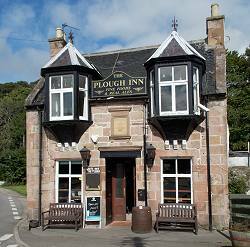 I can remember vividly the day in summer 2001 when my tastebuds woke up to my first pint of Black Isle Brewery "Yellowhammer" in The Plough in Rosemarkie. It was like the first day of springtime after a long cold winter, and I have been a Black Isle devotee ever since. Not surprisingly it has grown hugely to be a serious brewery, rather than the hobby outfit in a shed on Dave Gladwin’s farm it started as. I rejoiced at every new brewery that flourished and marvelled at the new and astonishing flavours that could be crammed into a beer bottle. Until that is I realised that it was all getting a bit over the top, and that in the search for ever bolder flavours, some of the beers were getting a bit "new world", and I of late I have been a bit more careful in what I buy. So when I took my first mouthfuls of my birthday present, I suppose I was primed for yet more exotic hop fireworks, but I got a big surprise. What I got was mellow, chewy, savoury and old skool. It tasted like beer, like proper beer, like beer ought to taste, and blissfully free of the gimmicks which have crept into the real ale market. I think I’ve come full circle again! Cheers!